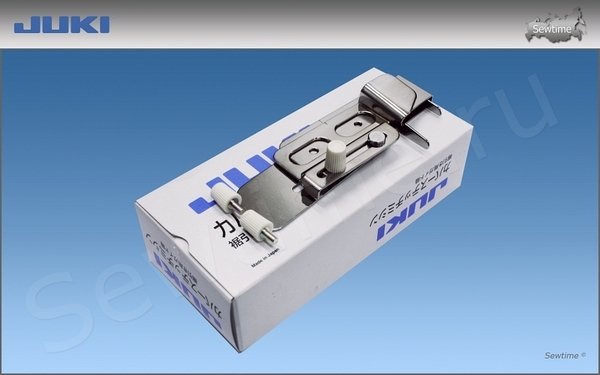 The Juki Hemmer Guide for Coverstitch MO 735 is an original Juki part. 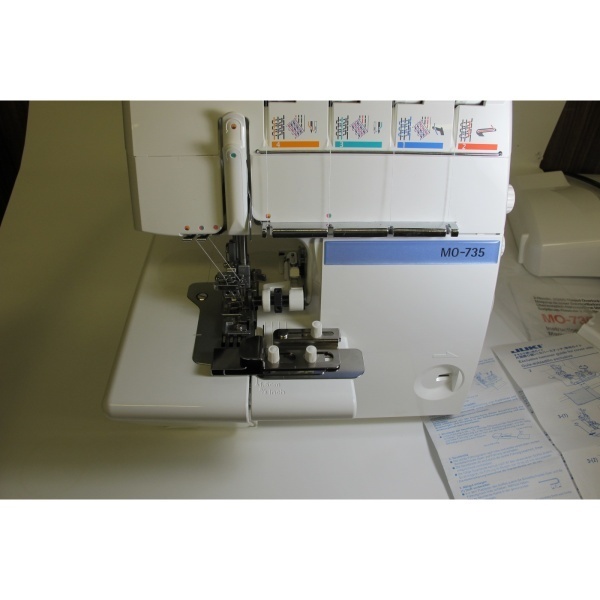 The Juki Hemmer Guide for Coverstitch MO 735 is compatible with the Juki MO-735 and Bernina 009DCC coverstitch sergers. THe Juki Hemmer Guide for Coverstitch MO 735 is used for guiding folded hems for perfectly placed cover stitching on light to medium knit or woven shirts, dresses, pants, skirts, sleeves and more. 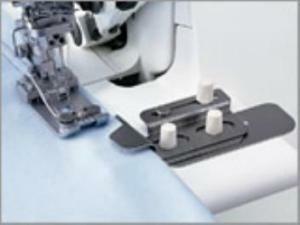 The Juki Hemmer Guide for Coverstitch MO 735 provides even feeding of pre-folded fabric edges. The Juki Hemmer Guide for Coverstitch MO 735 can also be used on jersey knit, tricot, lingerie, and spandex. This guide is used for setting the folded width of the fabric and the stitching position for coverstitching. This guide can set the folded width of the fabric and align the edge of the fabric from the back side, where it is difficult to see the coverstitching. First fold the fabric to the width that is to be sewn and then adjust the guide according to the width of the fold. This guide is perfect for finishing pants and sleeve hems of clothes. 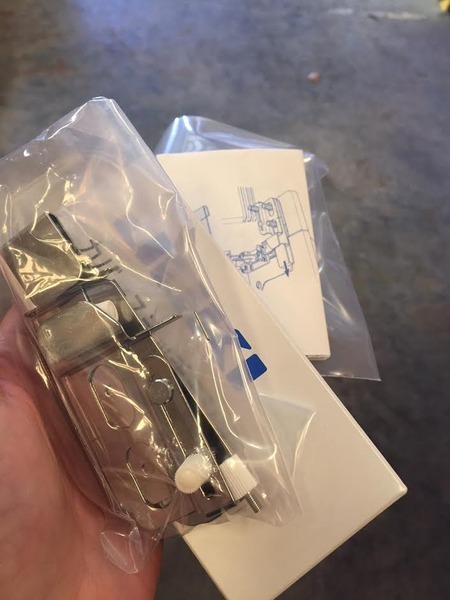 Guide package with instructions inside. The price I paid was much less than what I would have to pay in Australia - even with the shipping cost. The shipping was excellent - great protective packaging and speedy delivery. Thank you for a great service. It's always a pleasure doing business with Allbrands! I'm a continuing customer over several years; and never worry about any part of the process, from website search to porch delivery. Thank you!